Having completed his house build this year, Ben Adam-Smith evaluates his own performance as a self-builder. It's sometimes tricky to draw a line and say that you are at end of a self build. While there are lots of little tweaks to decor and a lot of work to do in the garden, our contract has been fulfilled and everything is functional. So for the last two podcasts of 2018 I'm going to reflect on my build. Then in 2019 I'll wipe the slate clean! In this podcast I'm going to analyse how well I did as a self-builder. What did I get right and what could have been better. Until you move into your house you can never guarantee it'll feel like a home. When we moved in, almost immediately it felt like we'd lived there for years. Our children didn't even blink when they were introduced to their new bedrooms. The layout is instinctive. We want for nothing. 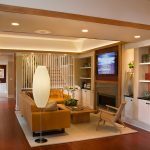 From architecture firm to main contractor and interior designer, everyone delivered for us. Sometimes it feels like we got lucky! But I think spending time hiring the right people was one of the smartest moves we made. Not everyone can afford to do this, but it was within our means to get all the work carried out by a main contractor with the architecture firm overseeing the project. Of course this is not the cheapest way of doing things but with two young kids we did not have lots of time to play with. Also, I think we knew ourselves. In fact I classify myself as a DIY disaster, so it was an obvious choice to let the professionals get on with things. That left us to ‘be the client'. Right at the top of our brief was to build a house to Passivhaus standard. Although it's too early to look at the bills our home is certainly comfortable, with the even heat synonymous with Passivhaus. It also has all the other benefits you would come to expect. There's no condensation on the inside of the windows. We have constant fresh air and the smells created from cooking disappear. We brought different skills to the table, which is always handy. 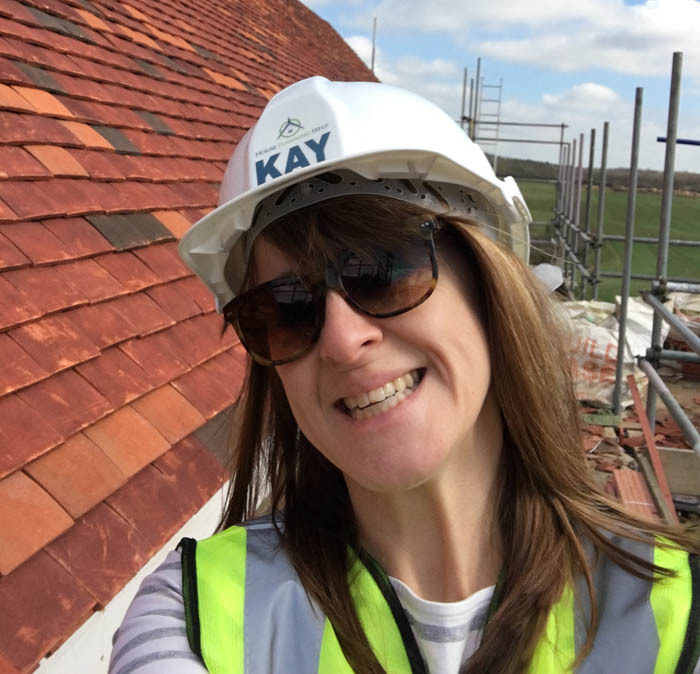 Kay had project managed marketing campaigns before so was comfortable with staying on top of emails, listing priorities and updating budgets. I had the more technical insights as to what we should be doing… and I liked to focus on the big decisions. While we probably had momentary disputes, I can't really remember many of them now! And I even won the odd discussion. There are always things to learn on a project, but I think it must be a good sign that I can't think of a single clanger. This is probably my biggest regret of the project but I made all these decisions with my eyes open. One challenge we had was that my wife did not want to live in a ‘new house' with a roof full of solar PV! I, on the other hand, was really keen to try not to copy a style from the past. I wanted to build a house fit for the 21st century. That meant we had to find the middle ground. 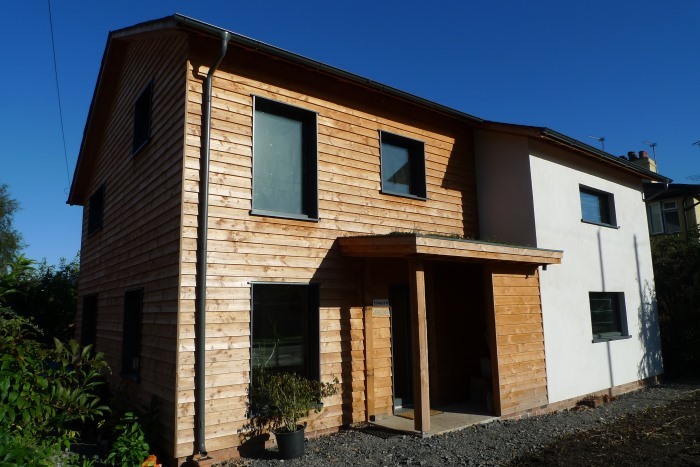 So we built a Passivhaus that has traditional form and uses traditional materials. We went down a masonry route to keep things cost effective. I was also keen to understand more about building with masonry (as it is one of the main construction methods in the UK). So we have no renewables and we are a masonry build. I know why we ended up here, but I do look at other projects and get slightly envious about what they have achieved! Some people say a budget is the budget. When we went out to tender we got a bit of a shock! Plenty of value engineering suggestions were made but we didn't feel comfortable compromising on what we wanted. Fortunately we were in a position to pay more. But the point here is that overall we have spent massively more than we were planning on day one! Our cost-cutting didn't always work! After the shock of our tender returns, we had to make some cutbacks. Some of these I wouldn't even be able to tell you what they were now. However there are a few that I would like to revert (as soon as is financially possible). The driveway is top of that list. We changed from a resin surface to shingle. This saved us over £20,000. 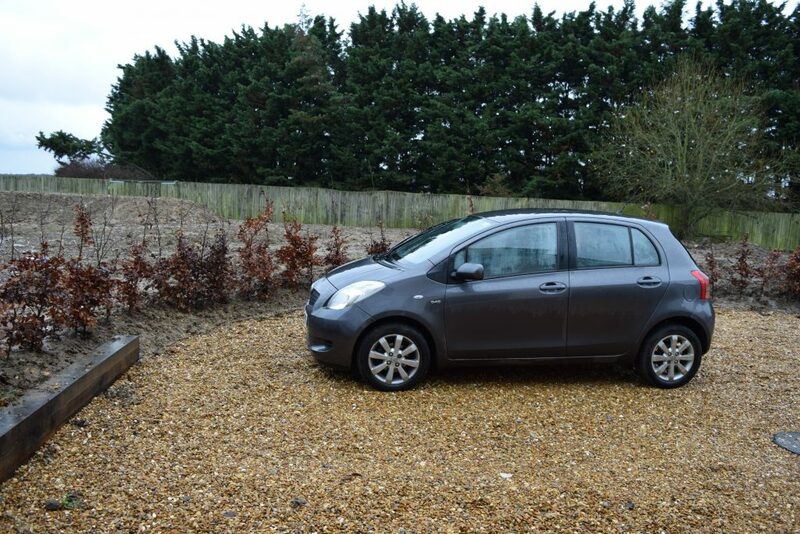 The downside is we have a noisy driveway, with stones go everywhere and it's tricky to walk on. Following on from this we also got rid of the paving around the house and put shingle down there too. There's no doubt that this also saved a lot of money. We had always anticipated using this back door most of the time. That doesn't really happen. We almost exclusively use the front door… and I do wonder whether a large part of that is the surface. The more you are on site, the more you can spot little things that might be about to go wrong. I was on site every couple of days but it's amazing how much progress can be made in that time. I'll give you an example. 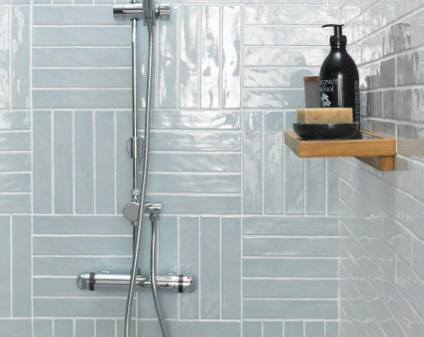 In the guest en-suite bathroom we wanted the following tiling pattern. The tiler did not get this information and tiled it horizontally. This was his error and we could have got him to redo it. However, it would mean half a bathroom's worth of tiles would go in the bin and he'd be out of pocket £1000. Needless to say the conventional tiling pattern still looks pretty damn good, so we decided to leave it that. If I'd been on site when the first few tiles were going up, we could easily have corrected course. Self build fatigue is real. As it got towards the end of the project I perhaps got a little casual with some of the furniture purchases. It would have been lovely to dig into the specifications and find out what was in them and where they'd come from. Instead we would take a cursory glance and if it looked like it would fit the bill, then we'd go for it! I'm in a fortunate position to get to see lots of eco homes and hear first hand from the self-builders what it's really been like. As such, I think we've got a lot to celebrate. Funnily enough the majority of the ‘little niggles' get forgotten. After all, life moves on. 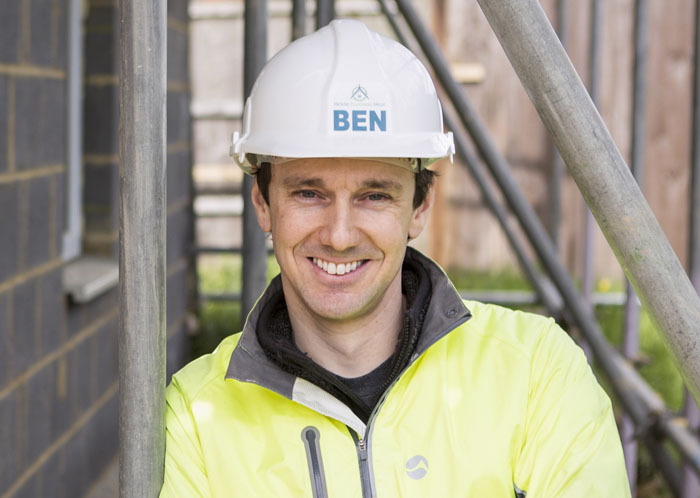 Having had his last site meeting this month, Ben Adam-Smith explains what they are and how they fit into the construction process when building a new house. What is a site meeting? As with any project, you want to keep track of things and make sure everything is running smoothly. And that's what this is all about: getting the key team members together on a regular basis. In our case that was once a month. Main contractor – Mark Feldman from Mars Builders. Everyone knows that there are lots of decisions to be made during the course of a self build. Although they don't all have to be made at once they do become more critical if left unresolved. So a site meeting can flag up the priorities (allowing you to keep ahead of the decision-making curve). A site meeting also helps everyone understand progress since the last meeting and what is planned to be achieved by the next meeting. If you actually examine what you're doing in these meetings a lot of it comes down to problem solving. There are countless issues that arise during construction so discussing the options and coming up with potential solutions is time well spent. Other than that it can be an opportunity for the architect or builder to explain something to the client. In our case we had a walk around the site and then held a sit down meeting (typically lasting between 1 – 3 hours). Having minutes which have been agreed by all parties also provides a contractual record so that in the event of a dispute there is a bit more information about what went on. – Make sure you don't run out of biscuits! – Don't attempt to look after young children and hold your meeting. Ben Adam-Smith explains how he and his wife have been specifying their new home (which will be built to Passivhaus standard). Ben looks at the decisions that they have made themselves and those which have been dished out to the team. This is a decision that you have to make right at the start when you select your build route. My wife and I opted for the contractor route, which should be the easiest but also the most expensive. For us, the essence has been on having a good experience because we have a young family and our time is precious enough as it is. That said, there are still plenty of decisions to be made! While we have made lots of decisions on this project there are also many which we have delegated. There is no way we would have the confidence to do this unless we believed in our team. This started with hiring the right architecture firm but has also included other specialists (such as an interior designer, M&E engineer, and garden designer). We always aim to understand why decisions have been made but there have been a few times where it's got too technical! If your build route will see you go out to tender to a small number of builders, then you will need to make as many decisions upfront as you possibly can. 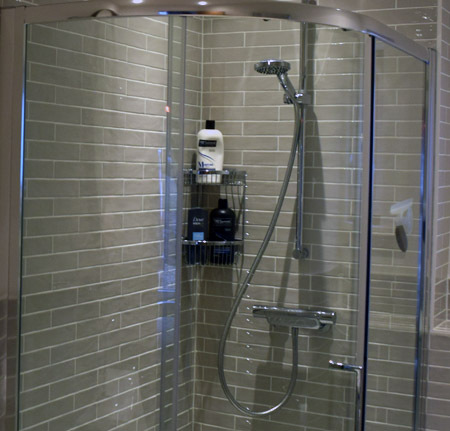 It is possible to say things like ‘allow £3000 for a bathroom' but there's more risk doing this than if you choose your bathroom products and materials, get them priced up and then don't change your mind. Specifying a house is a huge task for a first-timer, so it can be broken down into manageable chunks. For example, the headings might include structural system, electrics, mechanical and plumbing systems, the internal and external doors, the windows, floor finishes, etc. You can then go into another level of detail. So for electrics, that might consider the numbers and positions of light fittings, light switches, socket outlets, telephone points, ethernet and data points, smart systems, TV, alarm and so on. Clear your diary during the technical design phase! Self builds do not progress in a linear fashion. There are fits and starts. Specification is definitely one of these. Once our architects were focusing on this stage, they moved quickly. Kay was really good a responding to emails in a timely manner and trying to bat the ball back into their court. Former ITV News cameraman Mike Coe is embarking on his second self build in Portree, Scotland. This time around he's going to be providing regular video reports on his project progress. 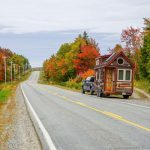 However, his first report looks at why he and his partner Lizzie decided to leave their ground-breaking autonomous house to move further north. The answer is comprehensive to say the least . . . and has turned into a 50-minute documentary! It sums up problems with UK house-building and why the issue of climate change is not being tackled adequately. Will Kirkman from Ecomerchant shares the key results of a survey the company ran to find out what self-builders worry about most. Will didn’t actually get a PAYE job until his 40s. Assorted pursuits over the years, including farming and metalwork, eventually led him to civil engineering. He now runs Ecomerchant, a sustainable building materials supplier. Will says that self-building is a unique and new experience for most people who do it, so there can be a lot of uncertainty along the way. In an effort to find out a little bit more about the market, the company surveyed customers and identified the top five worries. 1. How much should my project really cost? Total build cost is made up of many components. It can be hard to work out what proportion of the total should be on various upfront fees and professional services versus the construction itself, let alone establish actual costs. As dreams become reality, controlling costs can also prove tricky causing anxiety levels to rise. 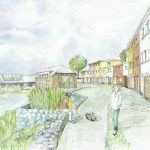 Will acknowledges that there is a sliding scale depending on how ‘standard’ the build is and how hands-on a self-builder plans to be, but suggests an indicative cost of between £1200 and £1800 per square metre. When it comes to build cost, trusting the professionals is important. Will suggests the core three team members would ideally be client, architect and builder, and recommends engaging with the building materials supplier as soon as possible. Will says there are ways to prevent the budget being blown by unforeseen problems. If a builder is doing something for the first time, the quote is likely to take into account this increased risk. So it is wise to choose an architect and builder that is experienced with your preferred build system. 2. Am I getting good value and good quality? He argues it is reasonable to want a house to perform in the long term and therefore expect it be built to a high standard. 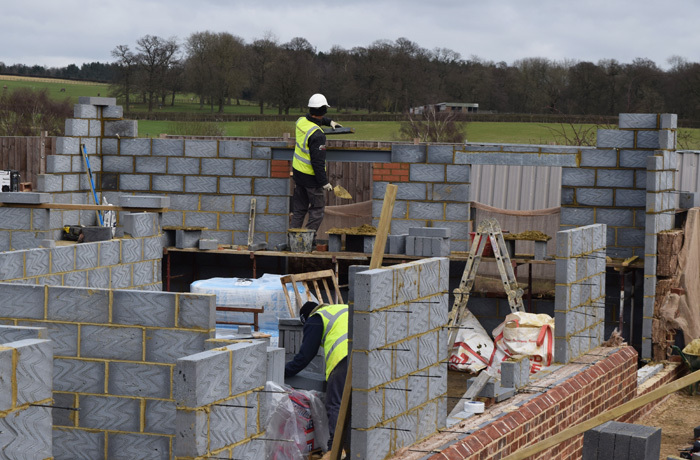 Unlike the volume housing market, self-builders are in more control of this; but success relies on the entire build team sharing a common understanding of what they’re trying to achieve. Internal doors contribute massively to the acoustics of a building and cheap ones won’t insulate noise well. Aesthetics can also distract from a product’s core function. Will reminds us that “value and quality are different things to taste.” Concentrate on how something needs to perform, when weighing up options and prices. 3. Am I paying too much? Being new to the build process can mean people worry they are paying too much. Whatever your budget, you will want to feel that you spent your money wisely. While a huge budget may make some decisions easier, Will thinks you are better off being wise than being wealthy in terms of the build; of course money is critical, but getting the job done the way you want it is important too. A good way to better understand the process, without adding costs, is to network within the self-build and construction environment. Asking how people have used products and materials will help and you can even learn from other people’s mistakes. 4. How can I find a reliable supplier? Will argues that there is a need to promote local builders’ merchants, who are more likely to support regional build systems or non-standard construction methodology. 5. Who do I turn to for help and advice? A good starting place is looking at case studies and finding out what other self-builders are doing. For general help and advice, Will says it’s best to talk to someone who has done what you want to do. For technical or professional help, he suggests that a sympathetic architect who understands your ambitions can help find tradesmen with the right experience. However, Will also notes that when he has supplied some building companies with new materials, such as lime plaster for the first time, they realised it wasn’t too difficult and were happy to offer this new skill to customers. Other avenues of research include the Internet and roadshows. Will points out that this stage of the process doesn’t have to cost much, so it’s well worth testing the water before you spend a lot of money. Some of the relevant information might be too technical for the ‘average punter’ and this is where you might have to abdicate responsibility to the experts. For those wanting an eco-home, it can be hard to work out what that might even mean and the right questions to ask. 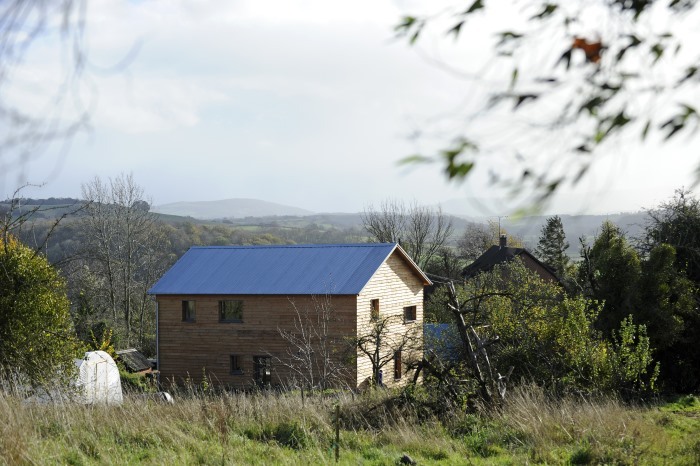 An eco-home could be summarised as: benign in construction, use and potentially in disposal. As Will says, “It benefits occupants’ health and wellbeing, it doesn’t pollute the environment and demands very low levels of energy.” He adds that most buildings built using eco principles feel like really nice houses! During our interview with Will he mentioned our documentary The Future of Housing. This explored the quality of housing in the UK and how we might improve the situation. There's also a chance to see some exemplar projects. Phill Skill was Head of Planning at Stroud District Council for over 10 years and also featured in the BBC documentary series The Planners. 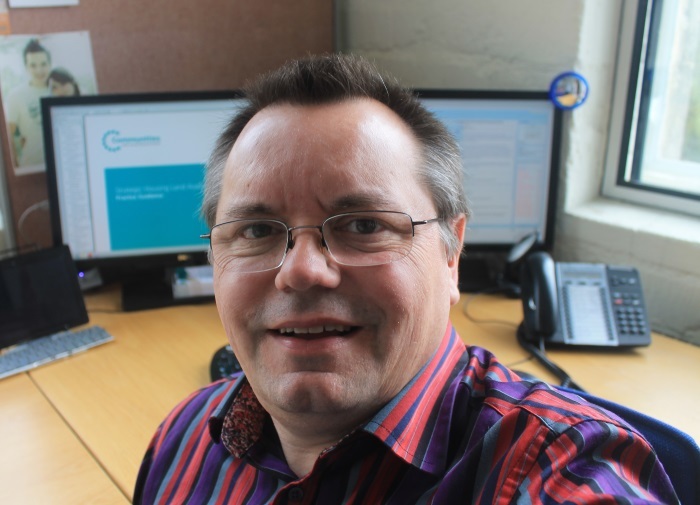 Now he is the Lead Business Consultant at Stroud District Council as well as a member of the board at Gloucestershire Building Control Partnership. Building regulations deal with the physical structure of a building and are there to make the occupants as safe as possible. For example, it deals with foundations, wall structure, floors and drainage as well as what happens in the case of a fire. The onus of the building regulations is on the house owner, not the builder. Therefore it is a good idea to draw up a contract with your builder which will indemnify you in the case of issues. Looking at a copy of the building regulations (in England and Wales; Scotland is similar) the sections with a green background are the actual regulations. These lay out what is expected in broad brush statements. While the Scottish system is different, in England approval can be granted upfront by submitting drawings to your local authority or it can be back-loaded by getting a building notice. By submitting drawings prepared by a draftsperson or architect, the council will check them over and make sure they are compliant. If they are not, they will write to you and ask you to make changes. While it may take a few weeks to get your approval notice the main advantage is that you iron out any issues before you get to site. No plans or drawings are required with this method so it is quicker, but there will be more inspections on site. Perhaps the biggest drawback is that you don't have a contract between you and the builder. So, you don’t actually know what the builder’s going to build because you haven’t given him any drawings! Also if the building inspector asks you change something you’ll have to make those changes on site and at your own cost. An approved inspector is an independent person who verifies you are building in accordance with building regulations and they’re regulated by the Construction Industry Council (which is a QUANGO of government). Phill's main advice is that you get what you pay for. Shop around and understand what you're going to get for your money. A good building inspector will be somebody who tries to educate you as you’re going along. A bad building inspector will be somebody who just turns up, says ‘that’s wrong’ and walk away. While a building inspector is only there to check what you've done, they should offer you alternatives. The building inspector is not a clerk of works and therefore is not there all of the time. Legally, if the building inspector has been informed that you’ve got to a particular stage, you only have to wait for 24 hours before proceeding. The majority of the checks are to do with the groundworks. 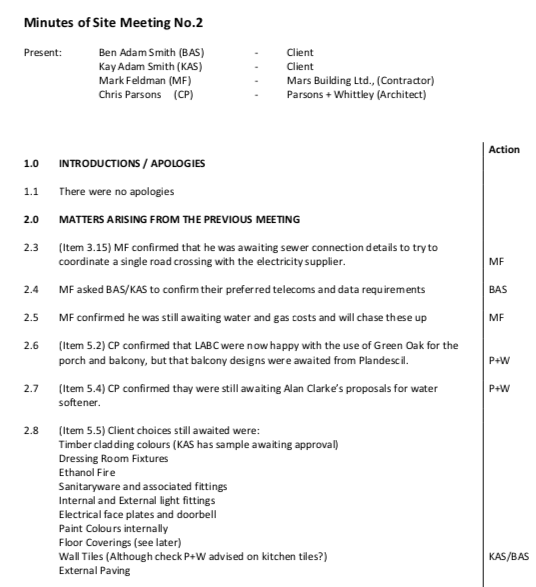 There are about fifteen approved documents ranging from foundations through to fire and electrics. The government has a process of only changing three of them at any one point. As the rate of change is relatively slow too, it should not be too difficult for experienced architects and builders to keep up. If there is a major change to any building regulations, it would be publicised in their trade magazines and they could also ask a building inspector. One of the biggest challenges a building inspector faces is keeping up with new products. For example, insulation can become more effective and therefore less might be needed in the construction (so it's not just a case of checking the thickness of the insulation!). The most important document in this process is the completion certificate. This is not a warranty but states that, to the best of the inspector's ability, the building is complete and compliant. Solicitors will want to see your completion certificate in order to convey your house. 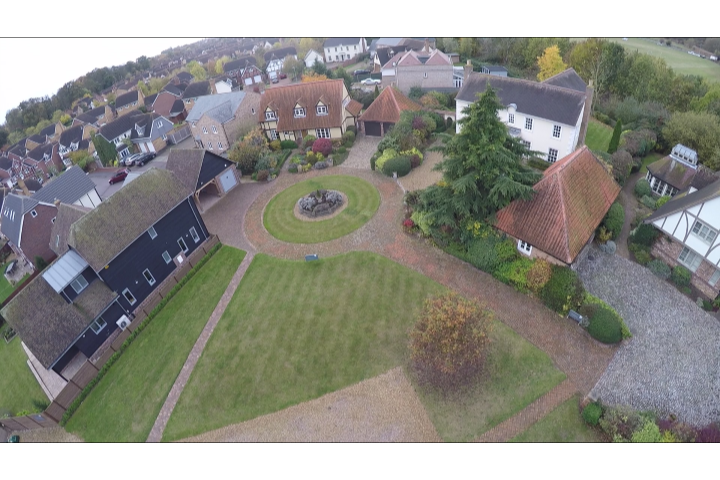 Regen Media is currently producing a video for Potton on the value of visiting their show centre in St Neots, Cambridgeshire. I know the site well having been there numerous times, but it was intriguing to hear the many reasons that people give for coming to popping in (depending on where they are in their self build project). 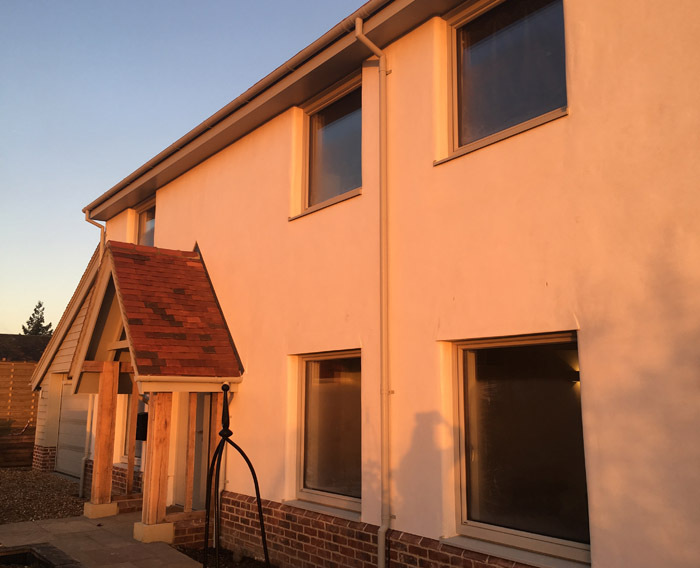 However, top of the list is inspiration and that alone is a good enough reason to check out these five fully furnished homes (including the UK's first show home constructed to Passivhaus standard). 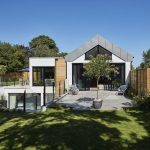 Mike Whitfield, from Mike Whitfield Construction Ltd, explains what to look for if you're trying to find a good builder for a successful low energy building project. 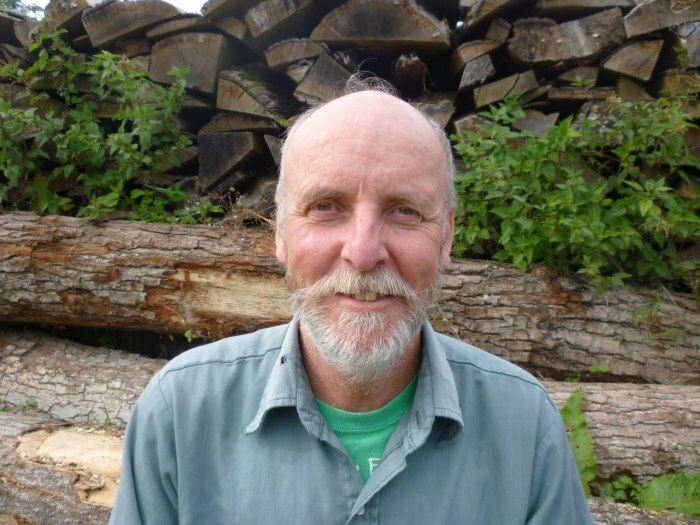 Based in Herefordshire, Mike Whitfield's name comes up time and again when the words ‘Passivhaus' and ‘builder' are mentioned in the same sentence, and if reputation alone is anything to go by, then Mike is certainly a leader in his field. In the late 1980s he worked with a builder using reclaimed and natural materials, even before they had any real notion of energy efficiency. 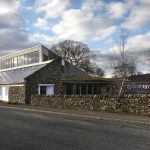 His interest in this way of building was piqued in 1996 when working on a job with an energy consultant, and this has led to a gradual move towards constructing energy efficient buildings, to the point where his company specialises in building to Passivhaus standard. During this time, they have been continually working to improve their assembly methods and detailing. 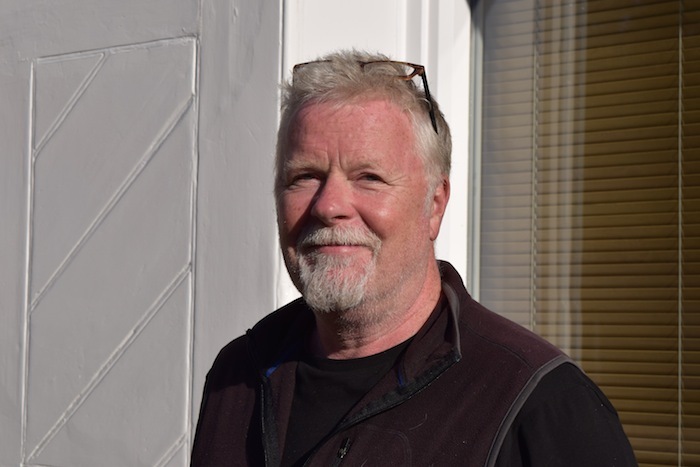 Perhaps not being your typical builder, Mike has been to the AECB conference a number of times (at which he has also attended as a guest speaker), and has found that it has been a very sharing environment where people are learning a lot from one another. Mike believes that if a builder has a reasonable level of competency, is prepared to learn, and looks at a previous job and thinks how they could have done it better, then they have the ability to progress quickly. He recommends using the AECB as a starting point for finding a builder. Even if they don't have experience of Passivhaus, it is likely that they at least have a real interest in low energy buildings. The beauty of Passivhaus is that it is measurable, so anyone claiming to be a specialist in the field can be judged by their results. 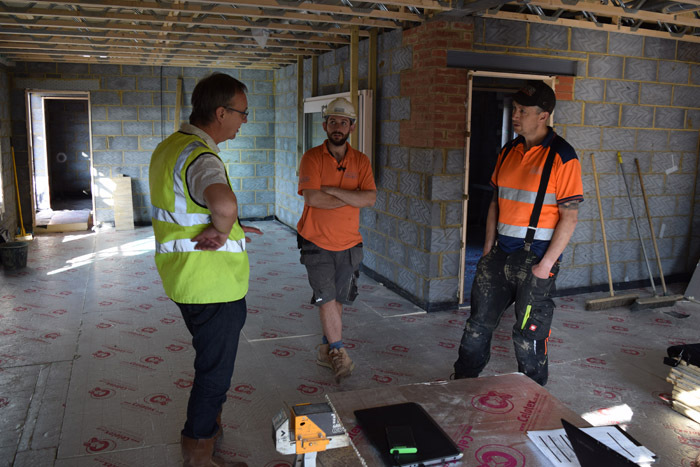 Mike explains that this is the reason why he has been so busy the last few years, because once you have a track record of being able to build an airtight, thermal bridge-free home, then people will come to you because they know you can actually deliver it. On a traditional build, with a good plasterer and second fix carpenter the results can look okay! It doesn't work that way on a Passivhaus building. Mike explains that it's not just about completing the tasks, but ensuring they're done in the correct order to get it right and save considerable time and money. A typical project for Mike would ideally begin by working with an architect that is “on message”. If the architect is inexperienced then they would usually recommend bringing a Passivhaus consultant on board to assist. A good set of drawings should be completed by the architect for the builders to work from, with the opportunity for Mike to have input if he can see where improvements can be made. The windows need to be ordered in advance so that they are there on site within a couple of weeks of starting the job. They prefer to put the windows in as they're building, as it's easier to do and also helps to protect the site. Other stages include insulation and airtightness, first airtightness test, first fix electrics and plumbing, plastering, completing the MVHR system, second fix tiling etc. 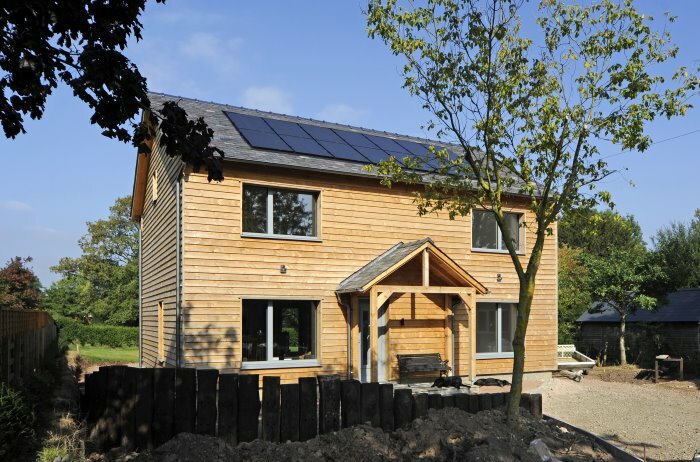 Mike's company has 8 full employees, but even for skilled carpenters or builders who aren't used to Passivhaus it can take at least a year or two for them to fully get their heads round. 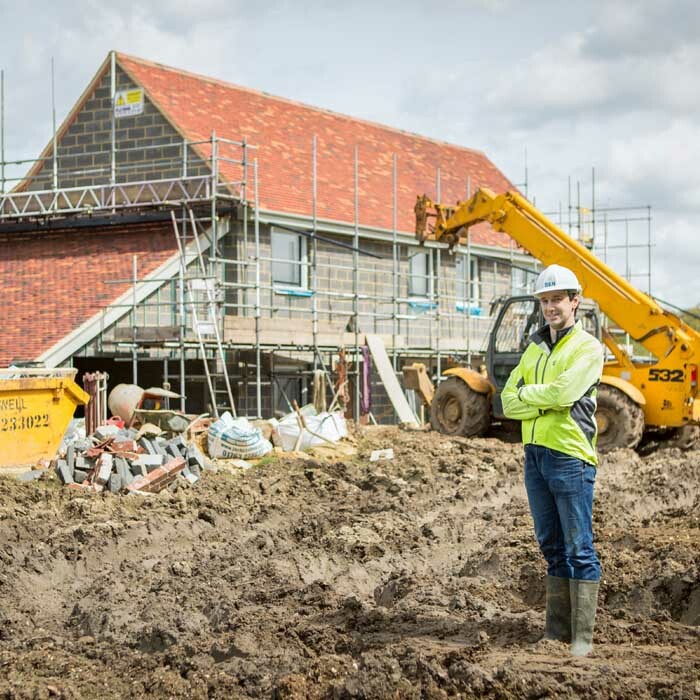 Mike thinks that when selecting your builder it's important that if you've found someone who you think is the right person then you should work to their programme and be philosophical about waiting for them to start. He explains that the most stressful part for him is turning up to start the job on time! It can be very difficult to predict, given the whole process can sometimes start up to 18 months earlier. Even at the point of signing contracts and ordering windows it can still be 6 months before they start on site, and dealing with extras can easily see that 6 months become 7 or 8. Mike tries to have one main job at a time, though there are generally two on the go: one being finished and the other being started. Having any more jobs would mean he wouldn't be able to get round the sites easily to provide the level of required supervision. Even experienced people that have been working with him for 10-15 years still need a certain amount of help and supervision, because not every project is a straightforward box shape. 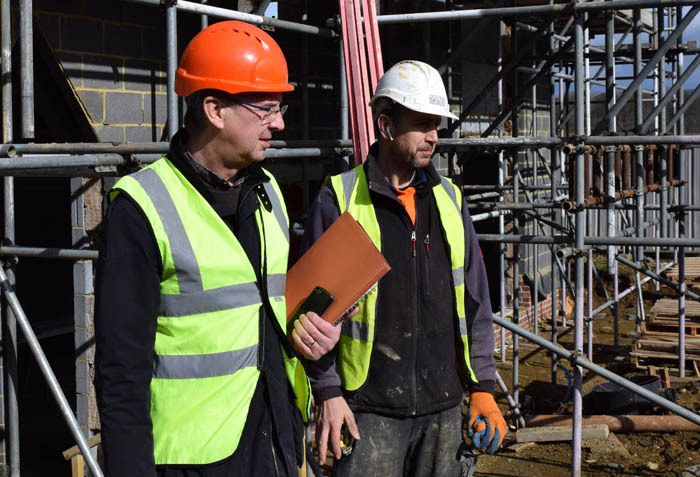 Once you have the experience the actual building work can be fairly straight forward, but Mike feels it's important to maintain good communication throughout. The best jobs also tend to be where there is good communication with the architect and collaborative working from the outset. A lot of architects who deal with Passivhaus realise that the collaborative method of working is better, and appoint a contractor very early on. They can try and work out the price with them, do the detailing together and make sure everyone understands what's going on. Mike feels that if you were to put a job out to tender you couldn't be sure that the person that wins has an understanding of what they need to do. Mike says that a lot of committed Passivhaus builders are doing jobs quite competitively, and it's important to remember that you could easily be doing a Passivhaus for less than another builder would be quoting to do a similar traditional house to a high standard. He reminds us that typically a Passivhaus might cost around 10% more, but by definition it's a high quality house. Download a transcript of the interview with Mike Whitfield. We are holding a House Planning Help meet-up at Ecobuild this year. We'd love you to come along and say hello, tell us about your self build dreams and plans, or even how progress is going on your own project. Alex Baines, whose project is our current case study in The Hub, is also going to be with us and answering your questions. We're going to be there on Tuesday 8th March. It's free to come along to this session but please sign up if you can so that we know to expect you! We're currently working on our next module for The Hub, but in the meantime you can check out the ones we have produced on planning permission, and financing a self build. In our most recent episode of the Long Barrow Passivhaus build we see the completion of the raft foundation. If you are a member (just £45 a year!) you can also join our private Facebook group and share thoughts, advice, questions and experiences with other like-minded folk.